Happy Friday, Noshers! This week’s fun fact is very practical – I do this all the time! 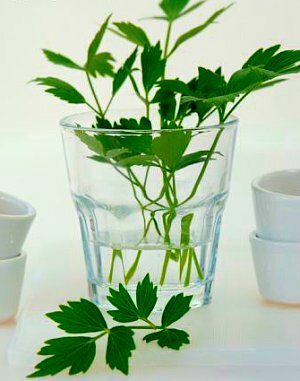 To keep herbs, place them in a glass of water (as you would cut flowers), cover with a plastic bag, and store in the fridge. Herbs are always sold in huge bunches, and this is a great way to keep them from spoiling!